You can reduce the signs of aging, such as lines and wrinkles, without invasive surgery. 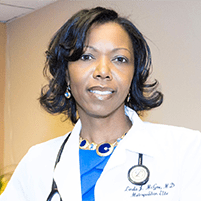 At Metropolitan Elite Family Practice, located in Laurel, Maryland, Dr. Linda McGee and her expert team offer dermal filler and Botox® injections to give your face a more youthful look. Call the office or book an appointment online to learn about this simple solution to an aging complexion. Dermal fillers erase mild-to-moderate lines, wrinkles, and hollow contours that occur with aging. As your skin matures, you produce less of the compounds that plump, hydrate, and soften your skin’s appearance. Dermal fillers, such as Juvéderm® and Restylane®, restore hyaluronic acid – a natural skin compound – to create a more youthful look. What skin concerns can dermal fillers address? If you’d like to smooth out your complexion, discuss dermal filler treatment with Dr. McGee. The dermal fillers Juvéderm and Restylane have different formulas, each of which is best at addressing a specific skin complaint. After understanding your aesthetic goals, Dr. McGee can help create a customized treatment plan for you. Botox is a purified toxin that temporarily eases the muscle movements that cause lines and creases to form on your face. Botox injections can soften horizontal forehead furrows, crow’s feet around your eyes, and frown lines between your brows. Do dermal filler injections and Botox injections hurt? Injections of dermal fillers and Botox do involve a needle, so you’ll feel a pinch and some sensation as the product enters your skin. The treatments are quick, however, and most people tolerate them quite well. Some formulations include lidocaine to ease any discomfort. If you’re concerned about discomfort, talk to Dr. McGee about using a topical anesthetic prior to treatment. How long do dermal filler or Botox results last? Dermal fillers are a temporary solution to lines, wrinkles, and other aging skin concerns. Exactly how long the effects last depend on the type of filler used, the area treated, and your body’s metabolism. On average, the results from dermal fillers last six to 18 months. To maintain your new look, you should get additional treatments on a regular basis. Talk to Dr. McGee to set up a regular schedule of dermal filler injections. Botox relaxes wrinkles and lines for three to four months. Again, you can set up a schedule of repeated treatments to maintain your look. 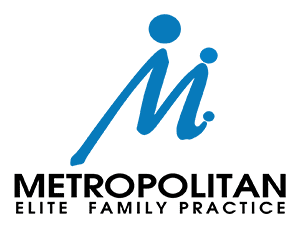 To learn how you can benefit from wrinkle-reducing injections, call Metropolitan Elite Family Practice or book an appointment using the online tool.